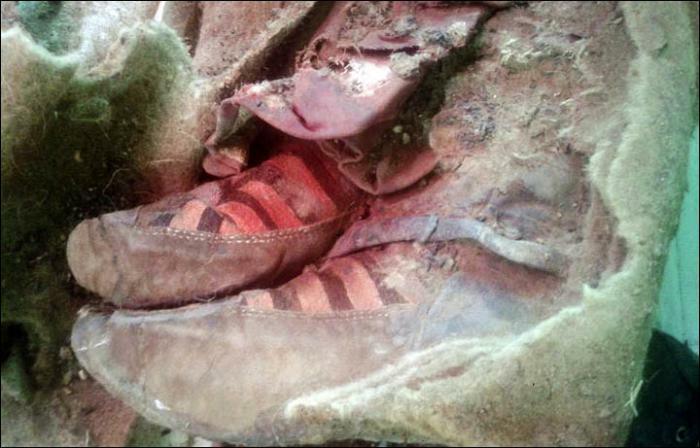 Archaeologists found mummified woman in a turkik grave, which is wearing shoes with stripes on it. They look similar to the modern day ‘Adidas‘ shoes with red and white stripes. Few have even started to speculate that this mummy is actually a woman of present era, who ‘time travelled‘ to 6th century CE. This HOAX was created just because of her shoes. However, mummy’s shoes were hand made with leather and it had more items of her times. This female mummy of Turkik origin found in at an altitude of 2,803 metres in the Altai Mountains. Experts believe that its a woman because there is no bow in the tomb. 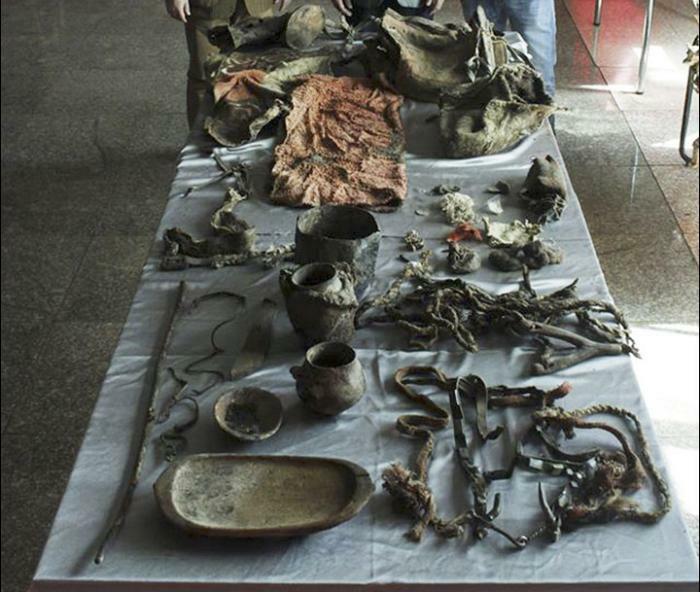 In the mummy’s grave archeologists found alongside the human remains – a saddle, bridle, clay vase, wooden bowl, trough, iron kettle, the remains of entire horse, and four different ‘Dool‘ (Mongolian clothes). There were also pillows, a sheep’s head and felt travel bag in which were placed the whole back of a sheep, goat bones and small leather bag for the cup. While burying, her horse was deliberately sacrificed. It was a mare, between four and eight years old. Four coats we found were made of cotton. 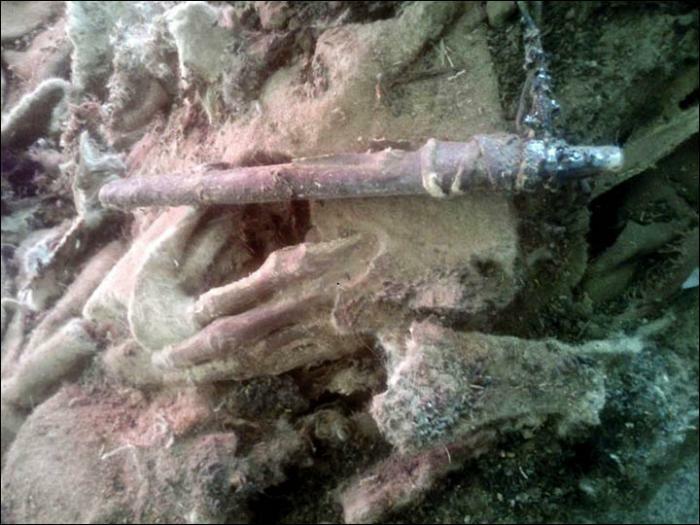 It is the first complete Turkik burial at least in Mongolia and probably in entire Central Asia. These finds show us the beliefs and rituals of Turkiks. 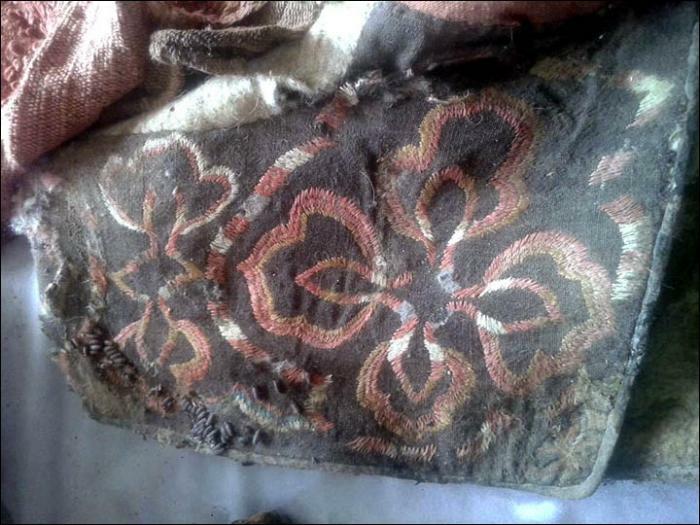 Not only sheep wool was used, but also camel wool was used in those days. The grave was located 2803 meters above sea level, and the cool temperatures helped to preserve the grave, which was three metres deep.